Spider veins represent tiny dilated blood vessels near your skin surface. They most often develop in the legs and, unfortunately, on the face. The sides of the nose and cheeks are favorite sites for spider veins, although they can occur anywhere on your face. 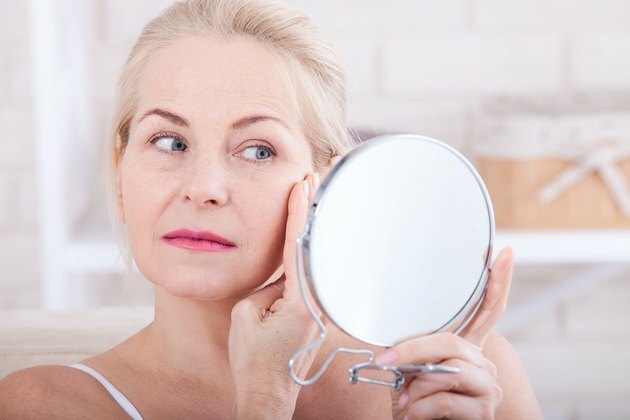 Known medically as telangiectasia, spider veins themselves usually pose no threat to your health but are a common cosmetic concern when they appear on your face. Spider veins develop due to a variety of causes, ranging from age-related skin changes to an underlying medical or skin condition. Like it or not, aging ushers in changes in your blood vessels and skin that can lead to the development of facial spider veins. As you age, your skin thins and loses elasticity while the tiny blood vessels in your skin diminish in number and function less effectively. Bottom line: The older you get, the more likely you are to develop spider veins. Your genetic makeup influences your risk for developing facial spider veins. This means that your risk is higher if you have close relatives who developed them as they reached their 40s or 50s. Widespread telangiectases involving the skin and internal organs also occur in people affected by certain genetic syndromes such as hereditary hemorrhagic telangiectasia (also known as Rendu-Osler-Weber syndrome) and ataxia-telangiectasia (also known as Louis-Bar syndrome). These syndromes, however, account for a very small proportion of cases of facial spider veins. Skin damaged by long-term sun exposure, scarring, or medical radiation has a propensity for the development spider veins — yet another reason to wear sunscreen or ultraviolet radiation-blocking moisturizer on your face every day. Rosacea most commonly affects middle-aged women, although the condition also affects men. People with fair skin are at increased risk for rosacea. Spider veins and other rosacea-like signs and symptoms are a potential complication of long-term use of topical steriods, like hydrocortisone cream, on the face. In general, it's best to avoid use of topical steroid medicines on your face unless your doctor recommends it. Doctors typically limit use to no more than a few weeks at a time to avoid these complications or prescribe another nonsteroidal medication if you have a chronic inflammatory skin condition, such as atopic dermatitis (eczema). See your doctor if you develop bothersome facial spider veins, especially if you experience other accompanying signs and symptoms. Treatment depends on factors such as whether an underlying medical condition is responsible for the dilated blood vessels, and the location and number of them.